A plunger lock for a liquor drawer to keep the kids honest. There are a lot of places you might want to lock where a deadbolt would be silly or inappropriate, like a desk drawer. Cam locks are made for putting a lock anywhere you might want a lock. They are the most adaptable lock there is except maybe the hasp and padlock. 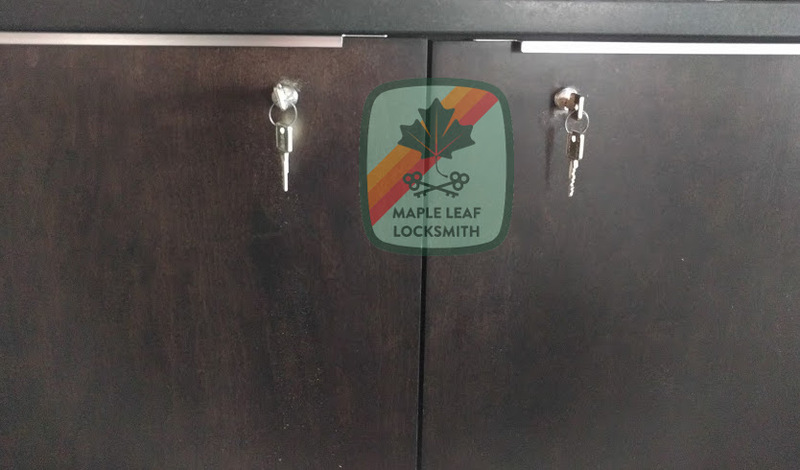 Here are some Medeco cabinet locks installed on another liquor cabinet. His liquor was more expensive. There are many applications and many kinds of cabinet locks. 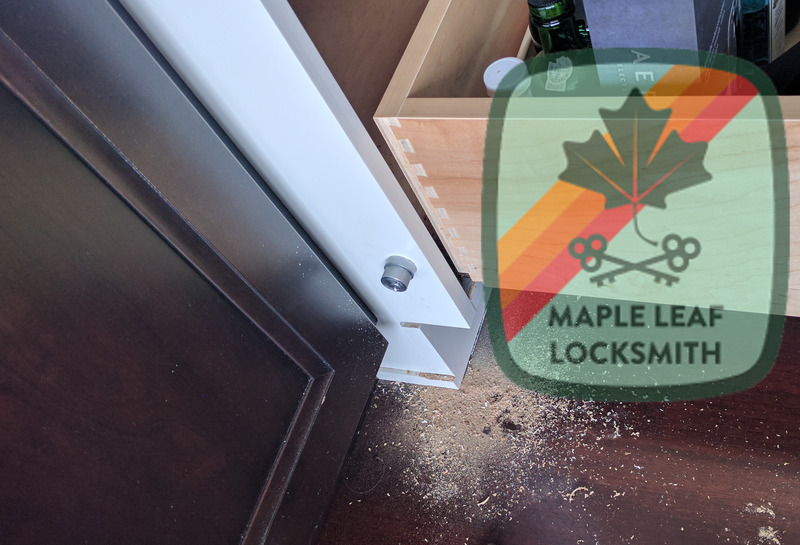 There are simple and inexpensive $5 cam locks for a desk or mailbox ranging up to high security cam locks with highly pick and drill resistant cylinders on to electronic auditing cabinet locks with pin codes. There are now legal requirements for securing patient records and legal data and you may be required to have a lock on that file cabinet or desk drawer that you keep your records in. Maybe you just want a lock on your liquor cabinet to keep the kids out. Whatever the reason, getting a lock on your whatever doesn’t have to break the bank. Even grade 1 locks from Olympus are less than $75.